Blood in the Alley theatre productions, in association with Cork County Council, present the Blackwater Valley Fit-up Festival. The festival, which runs from today 31st January – 19th February, will play host to 18 productions at seven venues across North Cork – Youghal, Rockchapel, Dromtarrif Community Hall, Mallow, Watergrasshill, Charleville and Fermoy. The tradition of the Fit-ups was revived in 2009 in West Cork by Blood in the Alley with support from Cork County Council. Since then they have brought 36 productions to 16 different locations in the area. 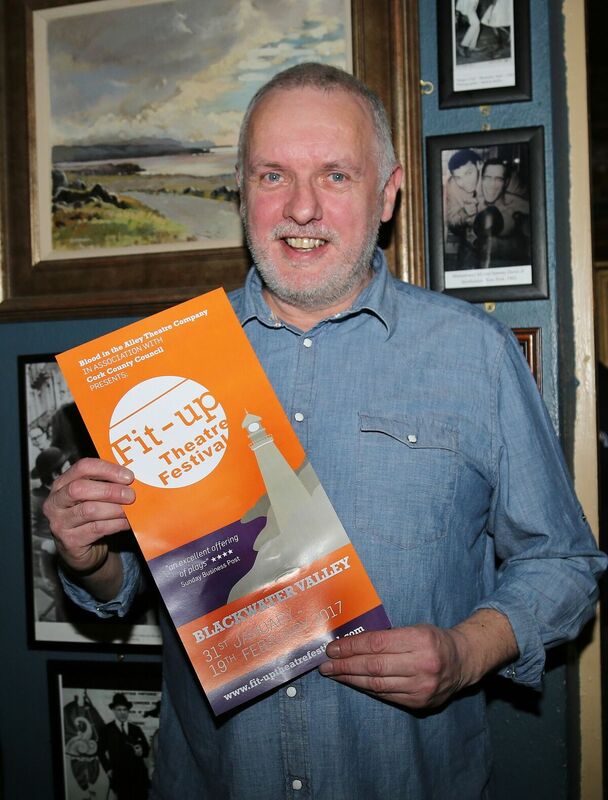 In 2016 the Festival was extended to cover the Blackwater Valley region and the Blackwater Valley Fit-up Theatre Festival was born. This year’s programme will open with a double bill of two one-woman shows; Tara McKevitt’s Grenades and Noni Stapleton’s Charolais. Grenades won the RTE Radio P’J O’Connor Award for new plays while Charolais was awarded the Bewley’s Little Gem Award and the Stewart Parker Prize for new plays 2015. After last year’s success of Those You Pass on the Street, Kabosh theatre company return from 7th – 12th February to present Laurence McKeown’s new play Green and Blue, which explores the painful and humorous realities faced by the individuals who patrolled the border during the height of the conflict. Finally, Eoin Colfer’s new play, My Real Life, starring Don Wycherley will drop the curtain on the line up of entertainment, running from 14th to 19th February.